Sciatica is a term used to describe radiating pain that travels along the path of the sciatic nerve, running from your lower spine through the buttock and down the back of the leg. It flares when the sciatic nerve is irritated or pinched by any of a range of problems in your lower back. Many people are completely disabled by sciatica and unable to function normally, yet sciatica is not that well understood as a disability. In this informative post based on material from spine-health.com we look at the symptoms and the possible treatment options. There are a series of nerve roots that exit from your lower spine; when any of these nerve roots on either side of your lower spine becomes irritated or pinched, pain may radiate from the nerve root to the sciatic nerve. The pain may travel down the sciatic nerve – through the buttock and down the back of the leg and into your foot and/or toes. It typically occurs only on one side of the body. The pain is unique – often described as a shooting, searing pain that is felt deep in the buttock and radiates down the back of the leg. Sometimes, numbness, tingling, or burning is felt along the nerve. Some people describe the nerve pain as electric-like. 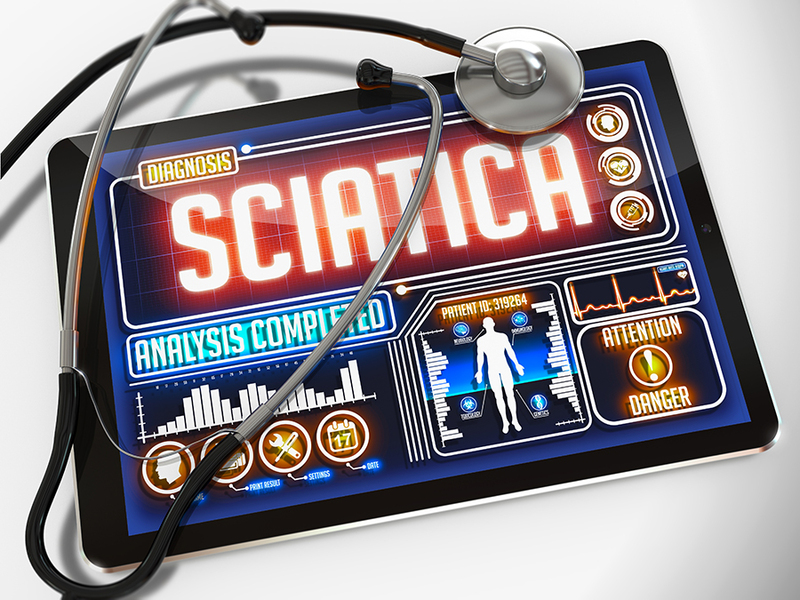 Conversely, sciatica symptoms may be experienced as more of a constant, dull pain. The most common causes of sciatica in younger adults tend to be a lumbar herniated disc, degenerative disc disease, or isthmic spondylolisthesis. In adults over age 60, the most common causes tend to be degenerative changes in the spine, such as lumbar spinal stenosis or degenerative spondylolisthesis. 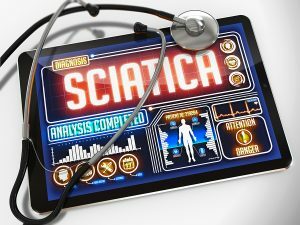 The term sciatica is often misused, and people may be tempted to self-diagnose and self-treat the wrong cause of their sciatica. However, knowing the underlying cause of your sciatica symptoms is important in order to get the right treatment. Piriformis syndrome syndrome also causes symptoms similar to sciatica. It occurs when the piriformis muscle in the buttocks irritates the sciatic nerve, which can cause pain to radiate along the path of the nerve into your leg. This type of pain is technically not sciatica, because the nerve irritation does not originate in the lower back. Treatment for piriformis syndrome usually includes anti-inflammatory medication and specific physical therapy. While the vast majority of causes of sciatica symptoms are not serious, it is always advisable to see a doctor for any troubling symptoms. If you feel symptoms of pain in your buttocks or leg, or numbness, tingling, or other neurological symptoms in your leg, it is important to see a doctor for clinical diagnosis that identifies the cause of your symptoms. Like any disability, sciatica can limit your ability to enjoy life and work and play effectively. If you suffer from sciatica and wish to share your experiences then please visit our facebook page and post your thoughts.